Piers Fawkes: We started PSFK in 2004 as a humble blog. We were taking advantage of this sudden freedom to share ideas and content that the mainstream media was ignoring. This was before social media (as we know it) of course – so there was a lot of excitement around this new way of sharing ideas. 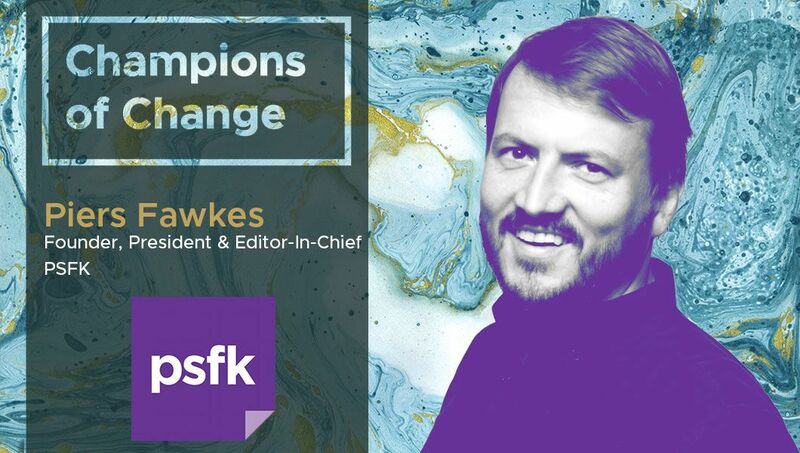 Piers Fawkes: In the media B2B space: Advertising has become so programmatic that revenues have declined, publishers can’t make money with their current content production models; branded content deals are sporadic. The big interest is in paid-content through paywalls, memberships and subscription services. But while there’s a lot of interest, there’s not a lot of wisdom directing the industry about what the right and wrong approach is here. It’s wild west – it’s like 2004. Which makes publishing exciting again. Piers Fawkes: Paywalls and how they can be used to develop community and membership experiences. Piers Fawkes: We created our own membership system called Wallkit because we realized that implementing a Paywall was just the start of the journey. With Wallkit we also have CRM tools to manage different audience members and drive them into profitable membership experiences. By focusing on the hundreds of thousands of folks who pay PSFK, we now focus on creating the best content for those members and it drives us. That might sound funny, but like many publishers there was a time when we tried to satisfy advertisers instead. Piers Fawkes: Our dev team is off-shore. We have a couple of dozen cloud services including Slack, Feedly, Chatlio. We love using these services – and its easy for staff to pick up – but when you look at the credit card bills, it feels like death by a thousand cuts . Piers Fawkes: We are going through a tremendous growth spurt right now and new employee on-boarding is a massive issue. How we educate and serve the employee, how we support and protect the business. Piers Fawkes: Not really. Our email newsletter is our mobile experience for most of our users. I’m unsure if they need an app for that. Piers Fawkes: LinkedIn! There’s no other network that serves the B2B audience.